Read 200 Books - Still a bit behind but am catching up and my reading tends to increase pretty dramatically once school starts back in August. Keep an eye out for independent bookstores - Found a new one in Birmingham - it ended up being a disappointment but I did go! Make progress on a series I've neglected - Actually doing okay with this one though there are still some gaps in several of the series I enjoy. Spend some time using a coloring book while listening to an audio book - I've done this a couple of times and it's so relaxing! Try out some new cookbooks - I have! I'm turning more and more to my cookbooks again and really enjoying it. 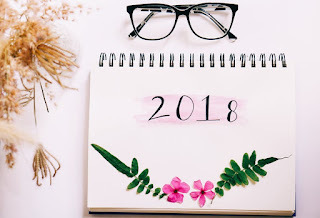 Complete the Modern Mrs. Darcy 2018 Reading Challenge - I have a few categories filled in and a few options for other categories. Create some kind of system for incoming books - This has actually gotten worse since I made this resolution but I have some hope that it will get better. Focus on reading my own books - Have only read a few out of my own collection this year. Need to get better about this! Read more nonfiction - Somehow I've read no nonfiction this quarter. Participate in at least one readathon - Big nope here! Disappointments: Lost Lake by Sarah Addison Allen - Wasn't bad just didn't love it as much as I expected. How is your reading going this year? I do have an Instagram account which you can find here I'd love for you to follow me though I don't have the most exciting account! 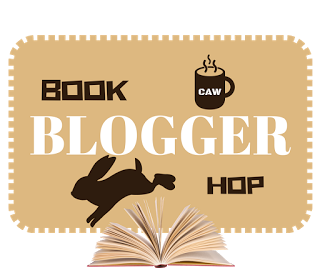 I follow a lot of book bloggers (and am always looking for more) but I also follow a few celebrities and friends and a handful of Youtubers. This week's book is Buried in Books by Kate Carlisle. I just finished the previous book in this series about a book restorer who stumbles on dead bodies pretty regularly and am excited to start this one. I haven't gotten very far but I am enjoying it. The downside is that it makes me want to buy a lot of books - though granted that's not all that hard to do! "The name is Wainwright," I said to the conference volunteer seated at the registration table before me. "Brooklyn Wainwright." Well not the most exciting beginning to a mystery! Before I could start to get my bearings, the room burst into bright light and there was a loud shout of "Surprise!" Also not particular ominous or dramatic but I do feel a bit sorry for Brooklyn. I would hate surprise parties and Brooklyn has never struck me as the kind of character who would enjoy it either. Description: National Guardsman Aiden King has been attracted to Hannah Walters for a while, but he never made a move because of her close relationship with his best friend. 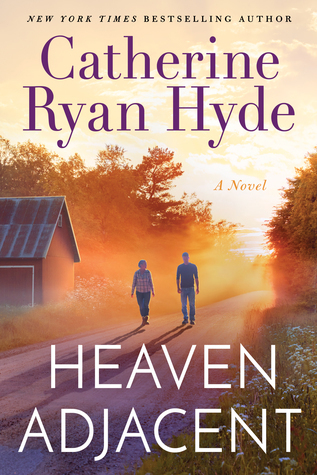 But when circumstances change, Aiden is surprised when his friend gives his blessing. Problem is, there’s a reason he’s still alone after all these years, and as much as he wants her, that secret keeps him from acting on his desires. Why I Picked This Book: I love a road trip in a romance! My Impression: This was my first Nicole McLaughlin and I really enjoyed it! It wasn't quite as light and breezy as I expected. Both Hannah and Aidan have real issues and this isn't a relationship that is just an instant connection. The issues that they have are very real (and Aidan's is especially heartbreaking) and it's easy to see what's holding them each back from really becoming a couple at first. Hannah is very sweet and talkative but there's a lot of insecurity hiding behind her bright façade. I loved how her job as a 3rd grade teacher was really part of the book and liked her interactions with her coworkers. It added a bit of depth and a bit of realism to her character and it was nice to have her be able to confide or talk to people who were out of her usual circle of friends. Aidan is a really wonderful hero. He's so sweet and kind and a touch shy. Why he has some very dark demons he isn't bitter or mean he just has a tendency to disconnect to a situation. There's a disconnect to how Hannah and Aidan interact which leads to some misunderstandings. Normally this would drive me crazy but it actually worked here. Part of this is because while the relationship stretches out over the course of months the pacing is very fast so we don't really wallow in the conflict. As well it just kind of worked for the characters. Yes they needed to talk to each other but the reasons they weren't wasn't because they were being unnecessarily stubborn but because of their own personal issues. I really liked the timeline. This wasn't a whirlwind romance. While it's a short book the plot stretches out over the course of months which I really liked. There are some real issues here and McLaughlin doesn't just wave a magic wand and fix everything which I really appreciated. If you're looking for a fast read with developed and sympathetic characters and a lovely romance this is a great choice! Would I Read More of this Series/Author? I would! I've already got her next book waiting for me and am looking forward to it. Would I Recommend this Book? If you enjoy contemporary romance with a touch of spice than I think you'd enjoy this one. Description: Before the burglary that shattered her confidence, Phoenix Rose had a fiancé, a successful store and a busy, happy existence. 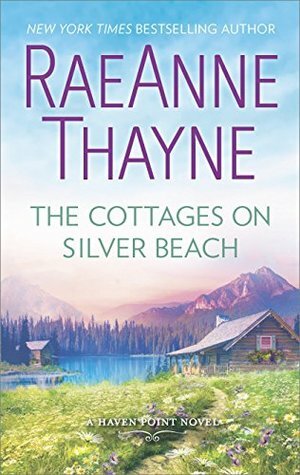 After months spent adrift, she takes a job at the lakeside resort of Cooper’s Charm. Surrounded by beautiful scenery, friendly colleagues and a charismatic, widowed boss, Phoenix is slowly inching her way back into the world. Why I Picked This Book: I've been wanting to read Lori Foster forever and that cover is beyond adorable! My Impression: This was my first Lori Foster but I know she's got a huge following so I was really excited to get started on this one. I really liked the characters - especially Phoenix and Ridley. Their relationship is really close but they still drive each other crazy sometimes. They both have some pretty significant baggage and it was interesting seeing how it affected both. They relationship involving Ridley was pretty fun (I'm not naming the guy because he's not mentioned in the blurb). She's a much more assertive personality but I never really found her too abrasive. Her relationship was much more banter-y and up and down which cut the sweetness a bit which was nice. 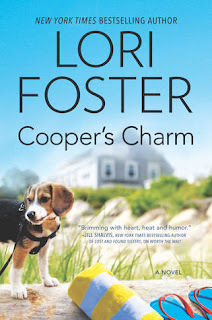 I normally don't love secondary romances because so often I want more of the secondary couple but this worked really well and I liked Cooper and Phoenix's observations. The dog addition was so sweet and I love how she fit into the world of Cooper's Charm. For the most part the suspense element was very well done and provided not only some great conflict but also some space for Phoenix to really fight her demons in a way that didn't feel contrived. I didn't really love the way it wrapped up as it didn't make the most sense to me but that was really a small blip. The wrap up of the book itself was really sweet and I'm excited to see these characters as background characters in the future. As the cover suggests this is a perfect summer read. I really liked the characters and loved the setting. I'll be on the lookout for the next book! Maybe Maris? Would I Read More of this Series/Author? I would definitely continue reading in this series. I really liked the world of Cooper's Charm. Would I Recommend this Book? If you like contemporary romance this is a solid read. Last week I talked about my Summer TBR but that's based mostly on books that I currently own that I want to read. Today I thought I'd talk about books with summery covers that make me want to grab them and go hole up in a fort made of books and read or I guess since it's summer lie out by the pool and read. Of course it's summer in Alabama which means the temps are high and the humidity is higher so I don't find the actual lying in the sun and reading as pleasant and the fantasy of doing it. 1. 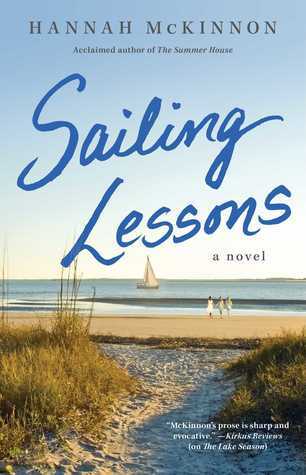 Sailing Lessons by Hannah McKinnon - I love love love this cover. It's got such a great coastal feel without being super cliché. The actual blurb has a coming home and reconnecting vibe which I really enjoy. 2. 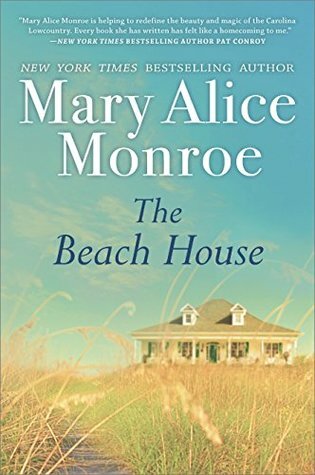 The Beach House by Mary Alice Monroe - The cover and blurb have a similar feel to the first book. Monroe always has the summery-est covers and they're always more Outer Banks than Florida coast which I prefer aesthetically though in real life I love a Gulf Shores beach. 3. 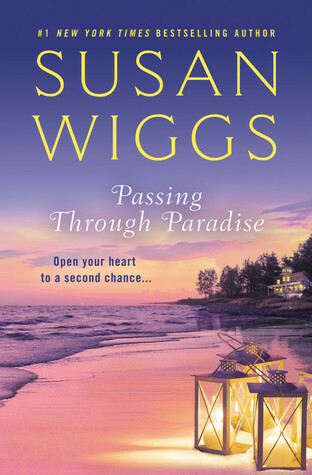 Passing Through Paradise by Susan Wiggs - Still beachy but a different feel. Susan Wiggs is one of my favorite romance/contemporary romance author and this just screams beach read. 4. 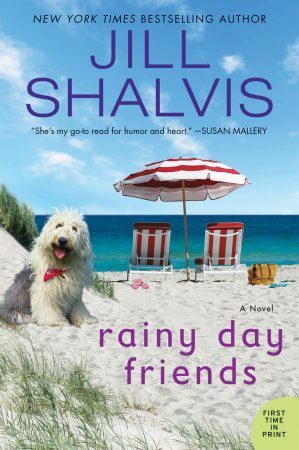 Rainy Day Friends by Jill Shalvis - I have this one coming up and am looking forward to it. The first book in the series was one of those reads which was exactly what I was looking for at the time and so really connected. 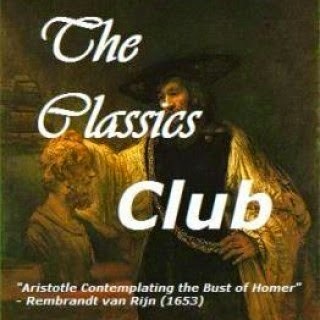 And I love the dog on the cover. I do enjoy cats in cozy mysteries but when it comes down to it I'll pick a dog every time and Shalvis writes the best doggy characters. 5. 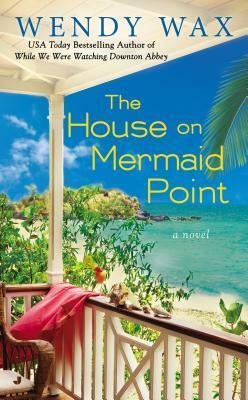 The House on Mermaid Point by Wendy Wax - I have never read a book by Wendy Wax but every summer she puts out a new book and every summer the cover is stunningly gorgeous and I mean to read it. I really love this one. 6. 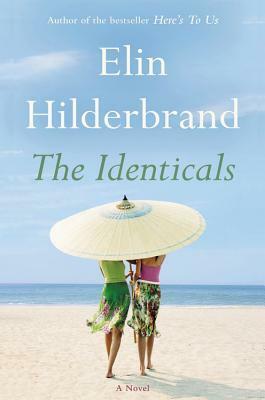 The Identicals by Elin Hilderbrand - I have yet to read anything by Elin Hilderbrand but I've heard wonderful things and this one sounds really good. 7. 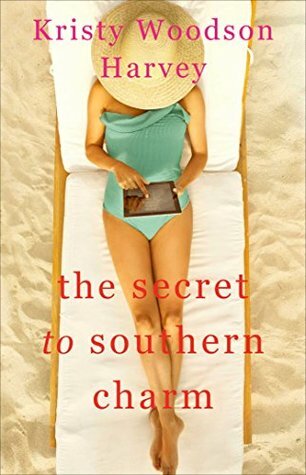 The Secret to Southern Charm by Kristy Woodson Harvey - I've heard good things about this author and I really want to try her. 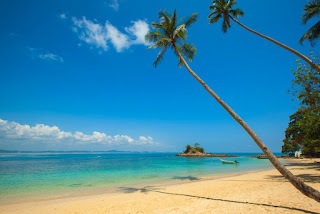 I'll probably start with the first book in the series but lying out on the beach with a book is always my dream but in reality it's hot and I'm sweating a bit and between the sand and the salt my skin is so dry and my hair feels like it is radiating sun and did I mention I was hot? 8. 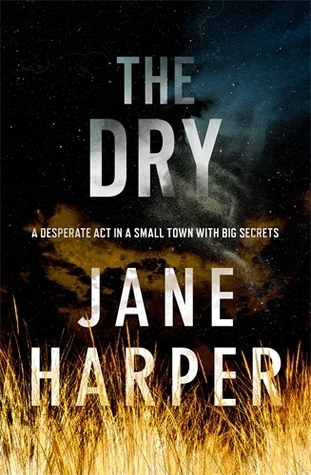 The Dry by Jane Harper - Sometimes I like some suspense when it's hot and this looks perfect. The cover looks like summer when it's gotten so hot that everything has just kind of baked. 9. 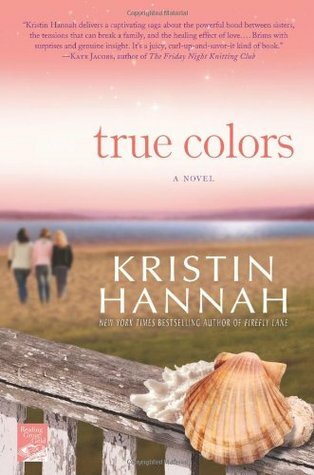 True Colors by Kristin Hannah - Kristin Hannah is another author I mean to read but haven't. I know nothing about this one but I love the sunset colors of this one so it appeals to me. 10. 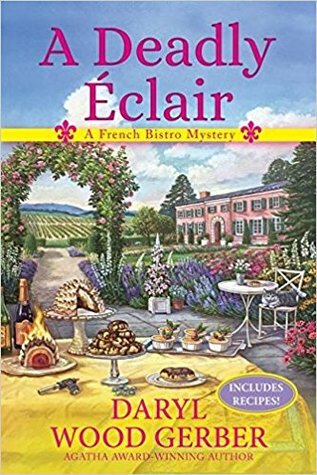 A Deadly Éclair by Daryl Wood Gerber - I can't make a list without a cozy and this series has really been appealing to me because of the author but this cover is so summery and fun it makes me want tor read it more. What kind of covers appeals to you? Do certain covers appeal more in one season than another? Description: Megan Hamilton never really liked Elliot Bailey. He turned his back on her family when they needed him the most and it almost tore them all apart. So she’s shocked when Elliot arrives at her family’s inn, needing a place to stay and asking questions that dredge up the past. Megan will rent him a cottage, but that’s where it ends—no matter how gorgeous Elliot has become. 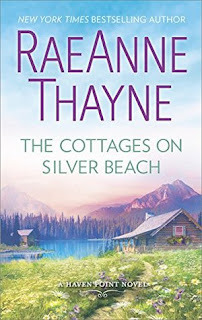 My Impression: One of my very favorite things about RaeAnne Thayne's books is the sense of community in Haven Point so how would I like a book that doesn't spend much time there? Turns out - quite a bit! I do love a good road trip romance. I don't think there's any better way to get to know anyone than in a road trip situation. I like that Elliot and Megan have a history. It isn't the usual second chance kind or even the friends forever turned more kind of relationship. I liked the complexity that that history added to the story as well as how their preconceptions (mostly Megan's) changed as they got to know each other better. They're both complicated people but aren't prickly and there is a lot going on below the surface. I loved the way the relationship developed even when it had its setbacks. The setbacks didn't feel contrived and I could definitely see both sides of the argument. I really enjoyed the way Thayne wrapped everything up. My only complaint is that the next book isn't Luke's! This was a lovely sweet slow burn romance with enjoyable characters. Can't wait to read more by Thayne! Would I Read More of this Series/Author? Absolutely! Thayne is an auto-buy and this only strengthened that. Would I Recommend this Book? If you enjoy a slow burn romance than I think you would love this. Thayne is the master of the slow burn! Watching: I've been watching a lot of YouTube beauty reviews lately when we're not watching the World Cup. Thanks for all the well wishes last week regarding my ankle. It's gotten a lot better and next week I'll be able to start the prescribed exercises which will hopefully make it heal even faster. I did have to cancel a trip to visit my grandparents this week because I'm not confident that it would really hold up to a 6 hour drive (of course it's my right ankle) which was disappointing. We have rescheduled though and hopefully J will be able to go with the Tornado and me this time. Other than that it's been a pretty quiet week. We've done some reading and some video games. We played an old Nancy Drew PC game and the Tornado's enjoying the puzzle solving quite a bit. I'm hoping next week I'll be able to be a bit more active. Description: Halloween in North Carolina’s Outer Banks becomes seriously tricky when librarian Lucy Richardson stumbles across something extra unusual in the rare books section: a dead body. Why I Picked This Book: There's a library in a lighthouse! I couldn't resist it. My Impression: I love bookish settings for a cozy mystery series and this may be my favorite setting ever. I especially enjoyed that Gates pulls in both the challenges of living/having a library in a lighthouse and the history. It really made the place come alive. I really enjoyed all the Halloween parties and other fun. 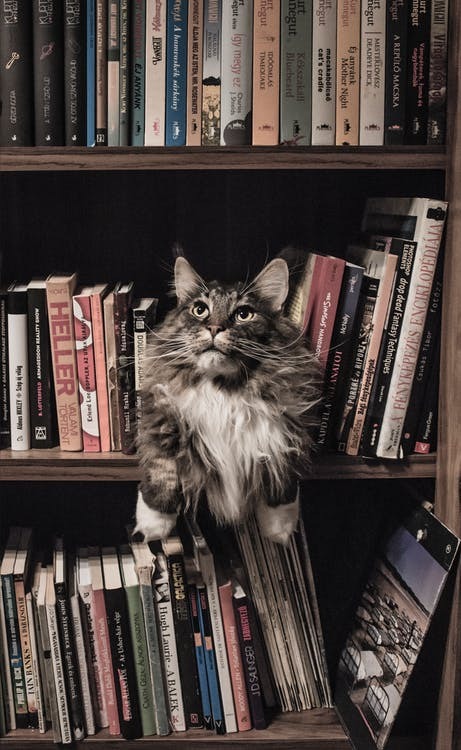 I'll be keeping an eye out to see what my library does for Halloween this year. Lucy is a good main character. 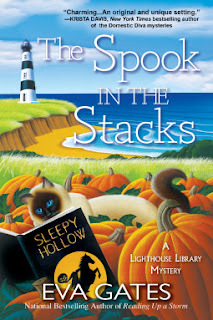 She enjoys her job as a librarian and enjoys her small apartment in the upper floor of the lighthouse. Her relationship with Connor felt genuine. He's a good guy and she really cares for him but his job as mayor - especially during an election year makes for some challenges that aren't always easy to deal with. She doesn't always react the right way but I think I would probably make very similar decisions in her situation so she was easy to relate to. Since the murder did occur in the library itself it made sense for Lucy and to a lesser extent her boss, Bertie to get pulled into the investigation. I liked that the primary investigator discouraged her from investigating and wouldn't give her any inside tips but at the same time did take the time to listen to what she had and didn't treat her like she was stupid. I hate when that happens in a cozy. I was a bit surprised by the conclusion which was a nice surprise. I didn't love the paranormal aspect as I didn't feel like it was fully developed or fully explained. It was just kind of there. I also would have liked Ronald's character to get more page time but that's mostly because I love children's librarians and love reading about the programs geared towards children at fictional libraries. Overall, this was a really fun read that made me want a pecan pie bar and a visit to the Outer Banks. It was fast paced and fun with a likable main character, a solid mystery, and a fantastic setting. Would I Read More of this Series/Author? Absolutely! This was the 4th book in the series but I had no problem jumping in here. I'm looking forward to reading the first three mysteries while I wait for book 5. Would I Recommend this Book? 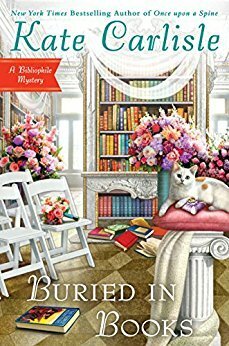 If you enjoy cozy mysteries - especially those with a bookish setting I think you'd enjoy this one. 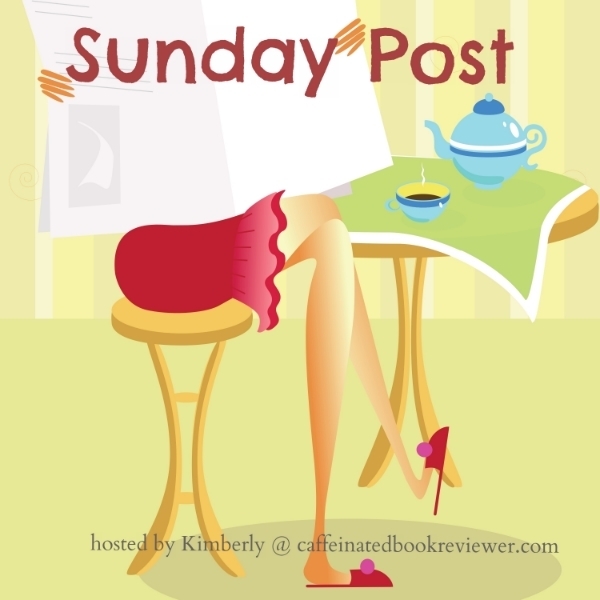 For all your worker bees out there how do you balance having a day job/career and managing your blog at night? Is it hard or easy to do? What do people in your work life think of your blogs? I'm a stay at home mom so I don't have the scheduling issues that I would if I worked full time. I think blogging can take as much time as you let it so regardless of responsibilities I don't think balance would be easy! 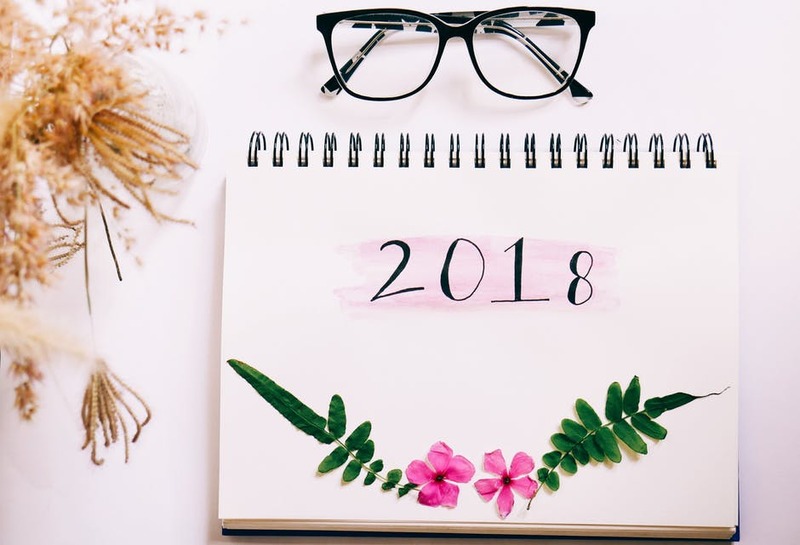 I normally set aside a certain amount of time somewhere during the day and get as much done as possible and split the time between writing posts and visiting other blogs. Blogging isn't really something I talk about very much. It's not something I'm ashamed of but I kind of like having my own private corner of the world. 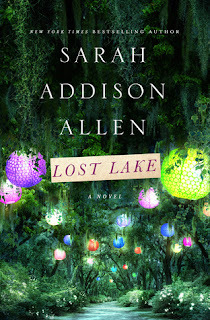 This week's book is Lost Lake by Sarah Addison Allen. I love Sarah Addison Allen's books especially during the summer. They've got such a lovely touch of magic and the author captures a summer in the South perfectly. So far this isn't my favorite but I'm still enjoying it. The wet night air bounced against the electric streetlamps, giving off tiny sparks like flint. I can just picture this. She's actually talking about Paris but this reminds of me of the high humidity we're having right now! She recognized the nubby red sofa and cheap landscape paintings, also the incongruously expensive pieces mixed in with them - the Tiffany lamp and the antique oak library table. I love the description. I can just picture the cheap mixed with the valuable all a mix of colors. So what do you think? Keep reading? Is there an author that you simply must read every summer? Description: Roseanna Chaldecott spent her life as a high-powered lawyer in Manhattan. But when her best friend and law partner dies suddenly, something snaps. Unsure of her future, Roseanna heads upstate on one tank of gas and with no plans to return. Why I Picked This Book: I've seen this author around for quite some time but never managed to actually read her. This book really appealed to me with the main character upending her life and whatnot. 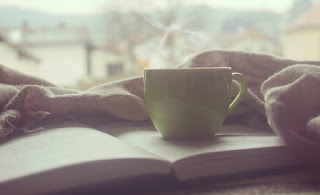 My Impression: I love books where the main character is taking a long look at their life and determining what really makes them happy and this was a very interesting take on that. This isn't a unicorn and rainbows kind of book. 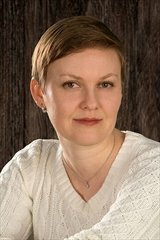 The author doesn't wave a magic wand and make Roseanna likable and happy and things are not always easy. I enjoyed how perplexed she was by the influx of squatters and visitors all looking for their own peace as she's trying to hold on to the bit she's found for herself. The developing relationship between Roseanna and her son Lance was interesting and felt very genuine. It wasn't always smooth and there were some step backs or plateaus. As well her own self-discovery isn't always smooth. Her epiphanies don't always stick and sometimes it takes her awhile to really process stuff. This a kind of a quiet book. There aren't big events for the most part and while there is conflict that isn't the real meat of the book. The focus is on relationships, development, and self discovery but in a subtle way that feels incredibly genuine. 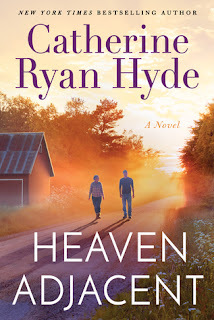 This is my first Catherine Ryan Hyde book but it definitely won't be my last! Would I Read More of this Series/Author? Absolutely! I really enjoyed this one. Would I Recommend this Book? Definitely! This was a really lovely read. • Paperback: 400 pages • Publisher: William Morrow Paperbacks; Reprint edition (June 12, 2018) USA Today Bestseller! One of Refinery29's Best Reads of September In this novel authorized by the Little House Heritage Trust, Sarah Miller vividly recreates the beauty, hardship, and joys of the frontier in a dazzling work of historical fiction, a captivating story that illuminates one courageous, resilient, and loving pioneer woman as never before—Caroline Ingalls, "Ma" in Laura Ingalls Wilder’s beloved Little House books. In the frigid days of February, 1870, Caroline Ingalls and her family leave the familiar comforts of the Big Woods of Wisconsin and the warm bosom of her family, for a new life in Kansas Indian Territory. Packing what they can carry in their wagon, Caroline, her husband Charles, and their little girls, Mary and Laura, head west to settle in a beautiful, unpredictable land full of promise and peril. The pioneer life is a hard one, especially for a pregnant woman with no friends or kin to turn to for comfort or help. The burden of work must be shouldered alone, sickness tended without the aid of doctors, and babies birthed without the accustomed hands of mothers or sisters. But Caroline’s new world is also full of tender joys. In adapting to this strange new place and transforming a rough log house built by Charles’ hands into a home, Caroline must draw on untapped wells of strength she does not know she possesses. For more than eighty years, generations of readers have been enchanted by the adventures of the American frontier’s most famous child, Laura Ingalls Wilder, in the Little House books. Now, that familiar story is retold in this captivating tale of family, fidelity, hardship, love, and survival that vividly reimagines our past. My Thoughts: I loved this book. This is a hard review to write because I loved so much about it I have a hard time limiting all I want to say to a paragraph or two! As a child I loved the Little House on the Prairie books. I read and reread them so many times and Alonzo Wilder was probably my first fictional crush. But when I think back on the books Caroline kind of fades into the background. She's kind and never cruel but she is the one who instills order in the house and reminds Laura to act like a lady. Because of this it surprised me just how much I connected to her as I read. She loves her family fiercely but is somewhat constrained by both the upbringing and the time she lived in. Her relationship with her husband Charles was so realistically sweet it at times brought tears to my eyes. He is still Laura's beloved Pa but through Caroline's eyes he's a more fully flushed out character with flaws and even greater strengths. One thing that really shocked me was the intense vulnerability of the family both on the journey and even when they settle in Kansas. 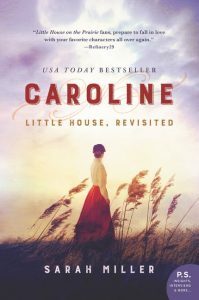 I don't think I truly realized just how truly alone the settlers were until reading this book and my sympathy and admiration for Caroline increased tenfold. 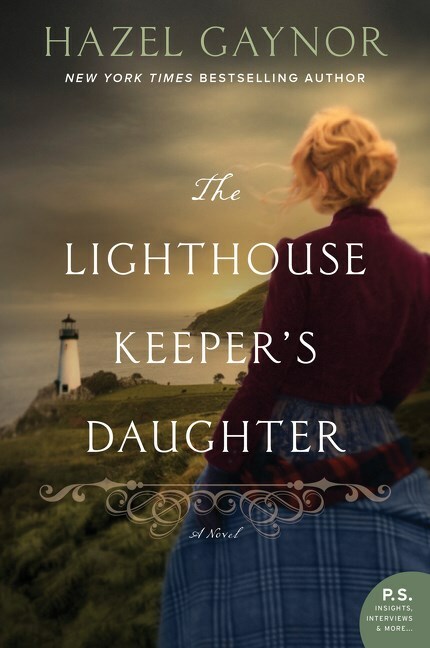 This was an emotional and interesting book that made me appreciate and have more affection for the Ingalls family. If you are ready to see the world of Little House through adult eyes than this book is a must read. This is one of my best reads of 2018! Rating: Loved It!